Posted on June 26, 2017 at 4:03 pm. From April's Art Spark at Produce Row. Photo Credit: Renee Lopez of Miss Lopez Media. Art Spark is back the evening of of July 21st, 6-9 p.m. Join us for another evening of education and celebration. This time we will be located at Disjecta Contemporary Arts Center (8371 N Interstate Ave​) for an indoor/outdoor event. Enjoy the summer vibes and learn about community partners DUG (Deep Underground), Just Seeds, and more! 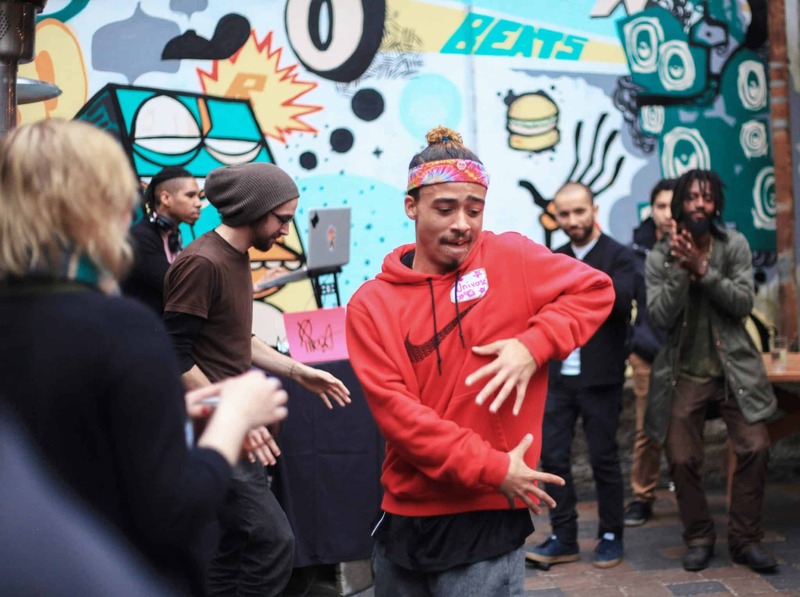 Connect with Portland Emerging Arts Leaders (PEAL) and network with Portland creatives. As always, our Art Spark DJ, VNPRT will be providing the the music. “Like” Art Spark by RACC on Facebook to get new information on the event as it is announced. Event is all ages and free. We Look forward to seeing you there!